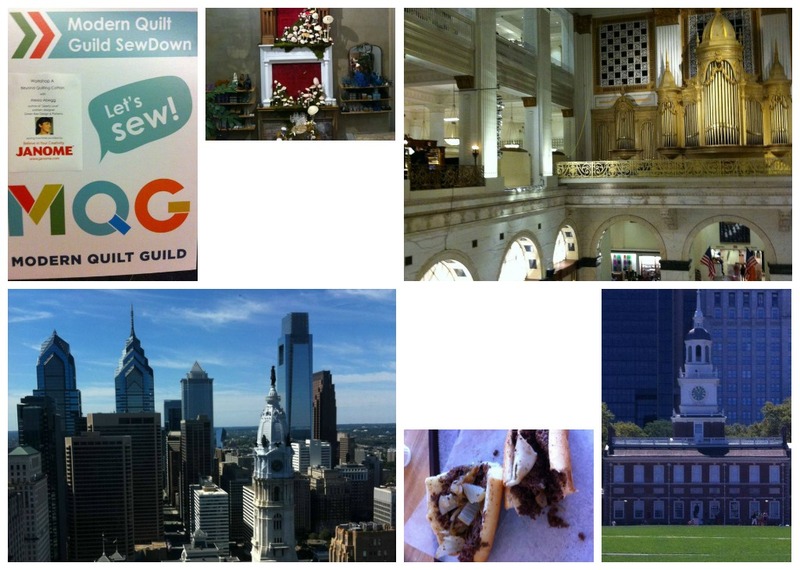 I really didn't know what to expect when I headed off to Philadelphia (with my Weekender) for the MQG's first SewDown but it was an incredible experience. 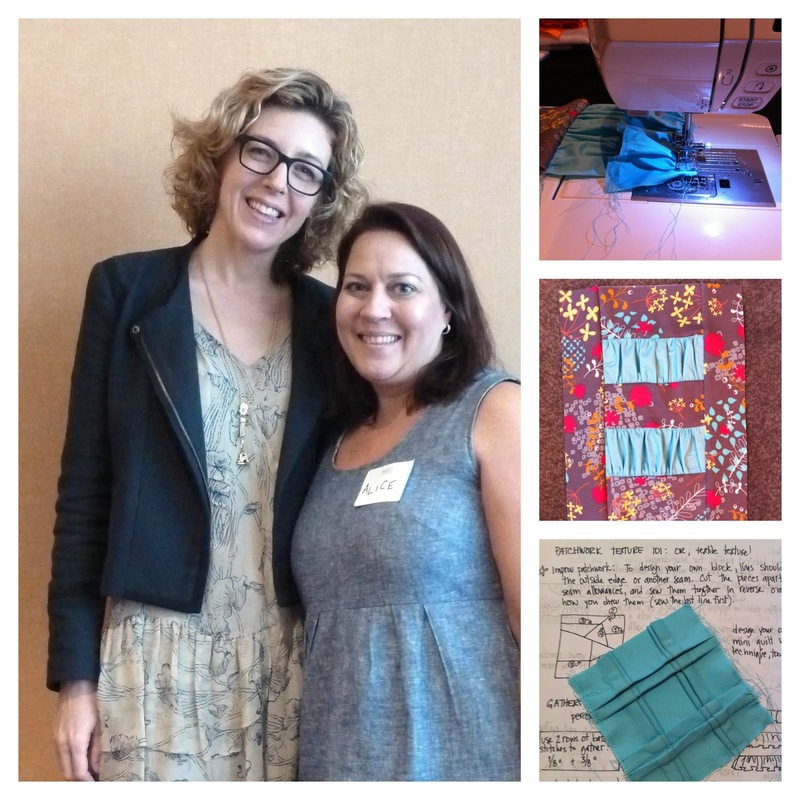 Kudos to the amazing Alissa and Jen for organizing such a wonderful weekend. You guys are awesome!!! Getting there really was half the fun!!! 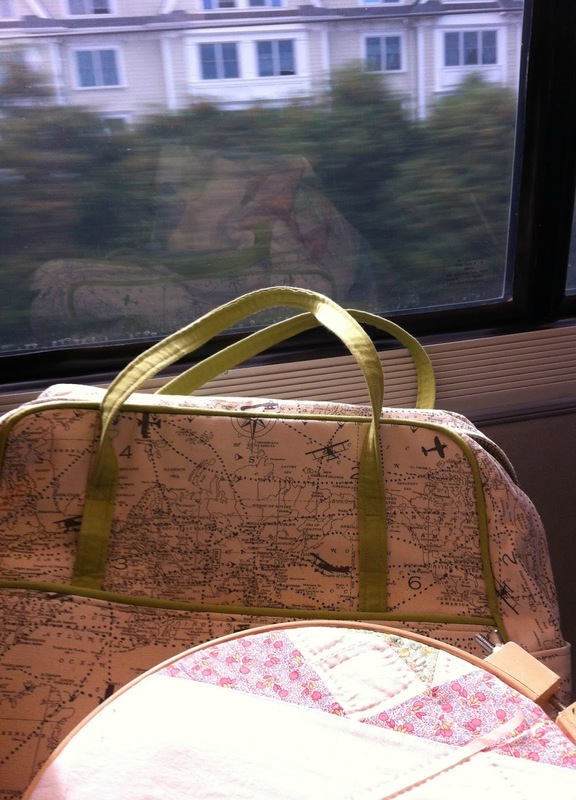 My partner in crime and quilting, Aimee, and I took the early morning Acela down to Philly. A giant cup of coffee and some hand quilting while we rode down the coastline. It was so nice to arrive relaxed and ready to go. The first day there was nothing planned except for dinner so we had time for some sightseeing... a good thing, they kept us on a tight schedule after that! After dinner a group of us went on a field trip to Anthropologie and the Wanamaker Organ at Macy's. 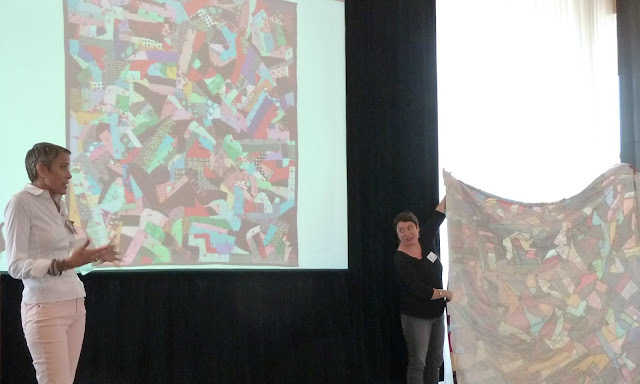 Our first workshop was on adding texture to quilts with the lovely Liesl Gibson of Oliver + S. I sure wish I'd taken this class before attempting to add the ruffles to my Ruffled Argyle and Martinique quilts. I'm really excited to try her texture techniques. I love the effect of these pin tucks!!! We capped the evening off with an inspirational trunk show by the fabulous Victoria Findlay Wolfe winner of Best of Show at Quiltcon. Her challenge: "Make the quilt you never thought you'd make..."
Can't wait to start seeing some finished projects! It was a fun weekend for sure. Looks like you had lot of fun! I have loved to meet Elizabeth Hartman in person. She is a great inspiration to me. 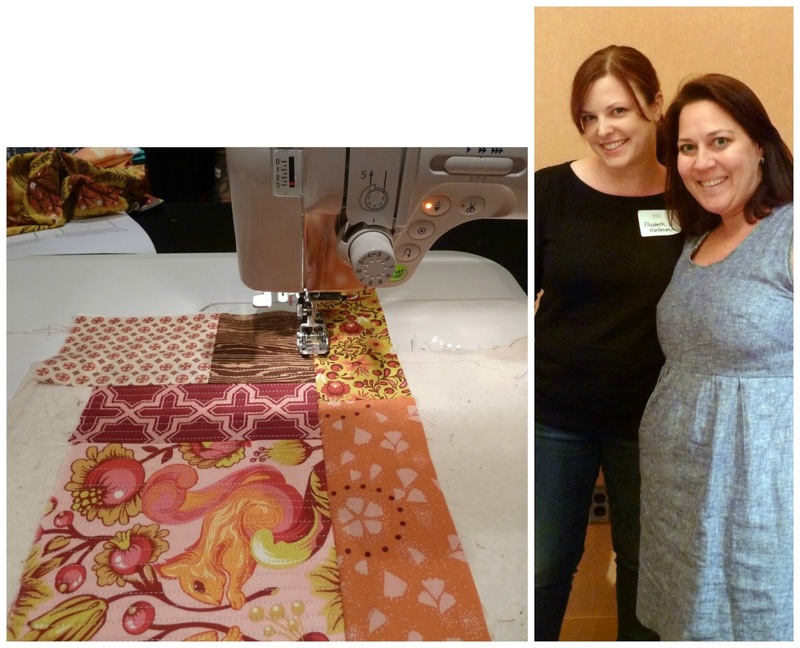 Hema, Elizabeth Hartman is a really great teacher! Alice, I like the block you made in Alexia's class. It certainly was a fun time and we were so lucky to get to spend quality time with the instructors.